I’ve spoken before about why I am reluctant to watch films that have been categorised as classics and how inevitably I am disappointed when I finally get round to watching them. Either the hype has been too much or I have usually missed the point the film is trying to make. Sometimes time is a factor and the message the movie is getting across may still be relevant but has been done in a much better way in a more recent movie. Network was such a film. 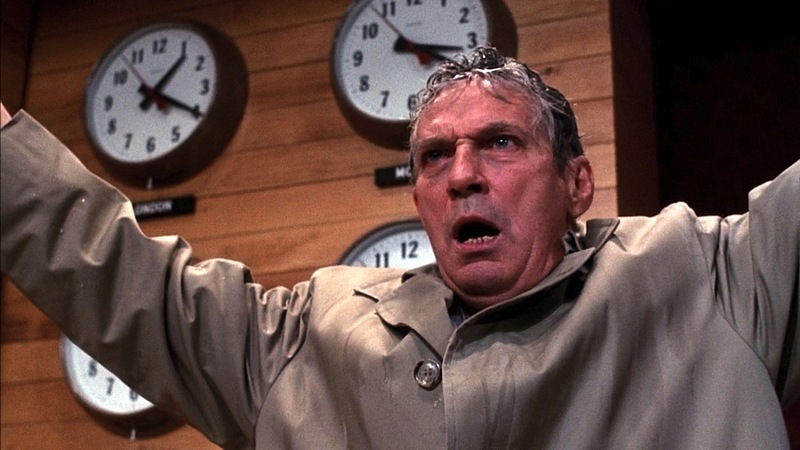 There is a lot to love about Network and I understand why many people do rate it as a classic. The beginning starts quite slowly but when Peter Finch has his first “meltdown” on a live news broadcast, the film kicks-up a gear. Peter Finch is of course the star of the movie and holds the key ingredients of the film. He is fantastic throughout and watching his descent into both madness, cult-like influence and fame is a compelling one, as well as disturbing too. Unfortunately it is something that has been done many times since so when watching Network for the first time, you find that you’ve seen his kind of performance before. Most current is what Jeff Daniels was doing in The Newsroom, a character that started from the same place as Finch’s does but doesn’t end in quite the same crazy place. It isn’t just Finch’s performance that often feels slightly outdated. The actual message of the movie, a commentary on the extreme, ratings grabbing that networks seem to aspire to, is one that has been covered many times since in lots of different, and in some cases more ingenious ways. The Truman Show is one that comes to mind as the impact of reality TV and how it begins to control and integrate itself in our lives. The more interesting story is the way that the strive for success, fame and plaudits begins to affect those that placed Finch’s character in the infamous position. Faye Dunaway and William Holden’s characters are the ones principally affected by this and it’s their journey which feels more interesting to me. Their careers are in two very different places, as is their opinion of where their personal relationship is, and their inevitable, destructive relationship makes for a much more entertaining tale. It helps even more that both Dunaway and Holden play their parts extremely well. It is still the over-arching theme of ratings crazed networks and their desire to be number one that sticks in people’s mind, particularly because that theme is so relevant today. Unfortunately, that seems to hide the fact that this film may have outlived it’s actual relevance beside how slightly resonant some of the ideas may be. 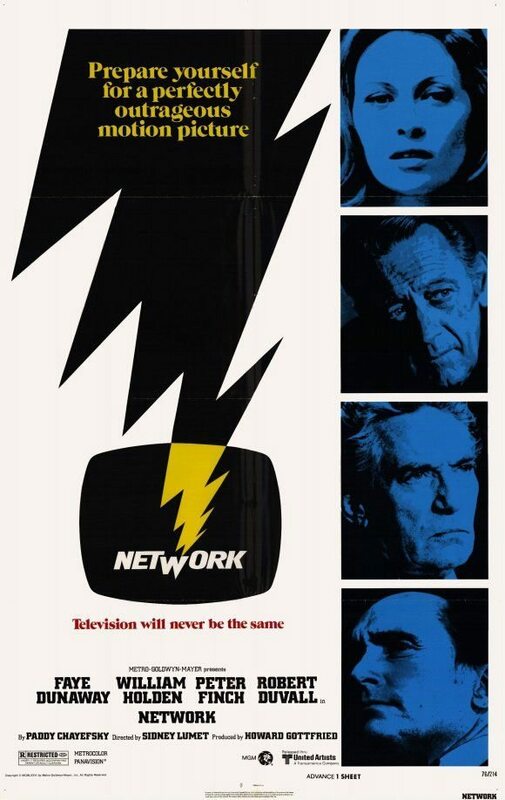 Overall, Network is another film that has been heavily rated and hyped but didn’t hit the heights of expectation that I had for it. The performances are great, Finch is perfect and the support hold their own very well. In fact, it is the support story, concerning Dunaway and Holden, that I prefer and I think the main theme of ratings-hungry networks has been done better in other films and shows. Previous Previous post: The new show conundrum – To Watch or not to Watch!